Every special occasion for a child should be remembered for the truly wonderful once in a lifetime happening it is. From school pictures, new siblings, grand parents and other milestones. These wonderful frames will preserve the memories. 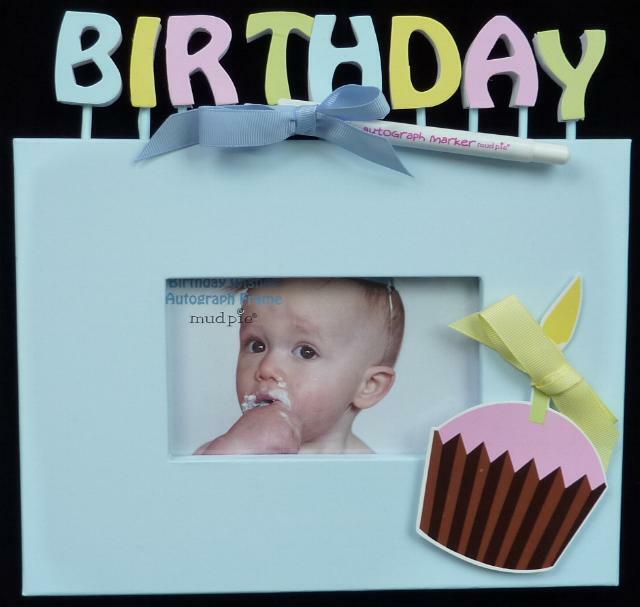 These picture frames also make great baby shower and birthday gifts. Give a memorable milestone gift. And do not forget to check out our line of school year scrap books. These are a must have for anyone with school age children. Overall frame measurements are 6.5" x 9.5" tall. Holds 12- 1" x 1.5" photos and one larger one in the center of frame. 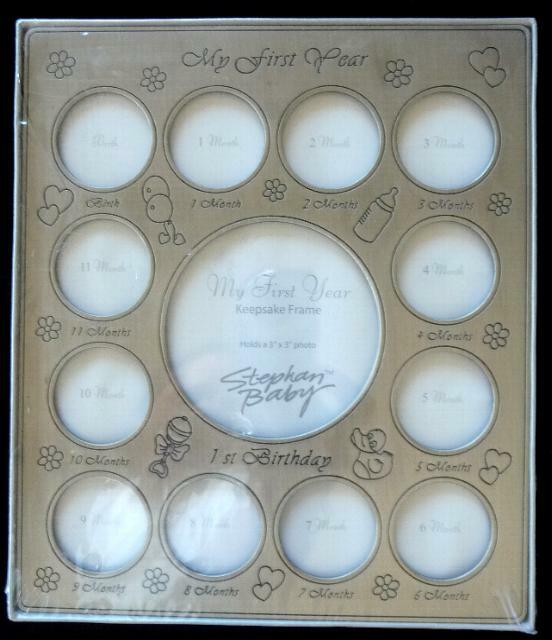 This frame has a place to put baby's first birthday picture surrounded by a showing of baby's progress in monthly increments, starting with the very first one. 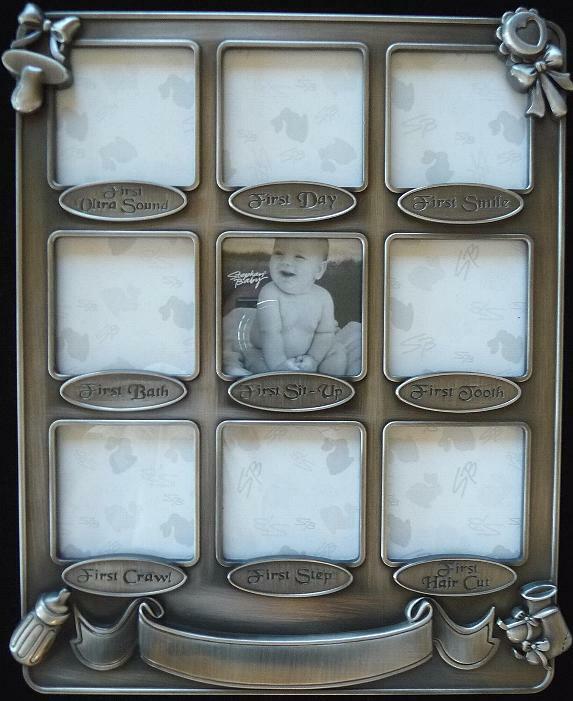 Baby's Firsts Frame is the perfect way to display many of Baby's first photos! 8" x 10" frame holds 9- 2" x 2" photos. Frame is engraveable. 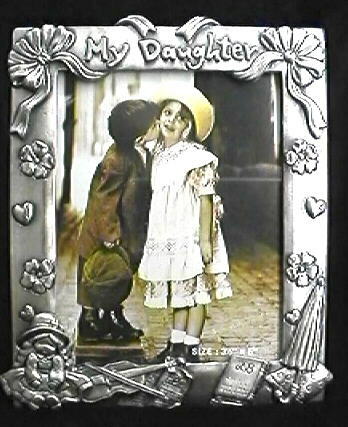 My Daughter picture frame is made of pewter. Picture size is 3.5"x5". 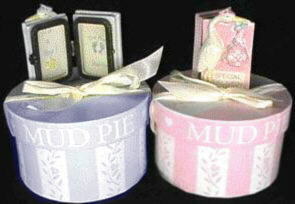 These Special Delivery Frames come in pink or blue and in a custom gift box. 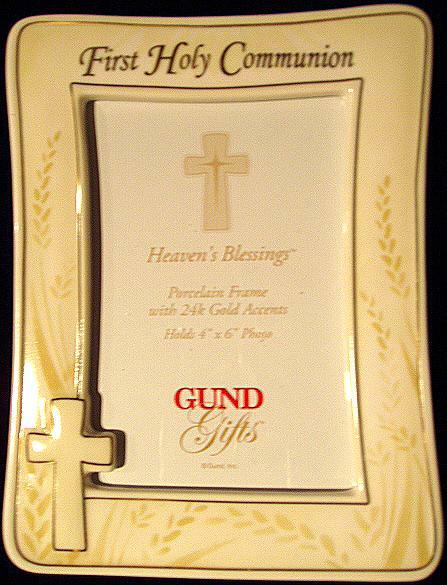 Heaven's Blessings First Holy Communion porcelain frame by Gund has 24k gold accents and holds a 4" x 6" photo. Frame is approximately 7.75"H x 5.25"W. Comes gift boxed. 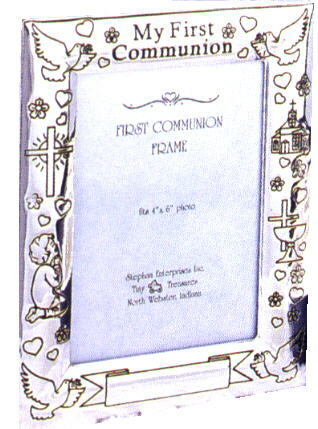 This is a beautiful First Communion Picture Frame. 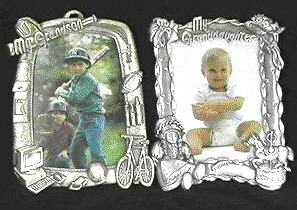 Holds a 4 X 6 photo, and is silver plated. Engraveable. 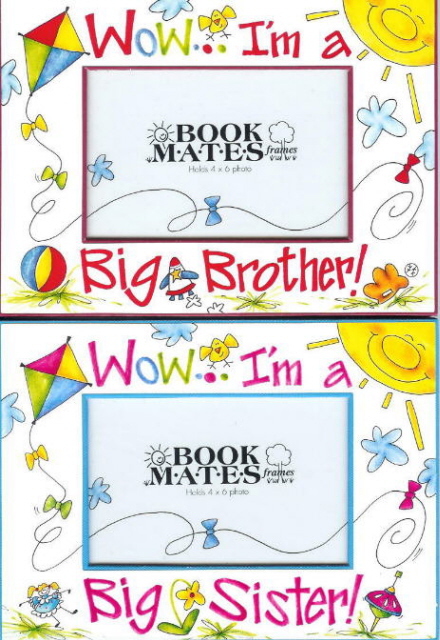 Big Brother Picture Frame, or Big Sister Picture Frame. Holds a 4 X 6 photo. 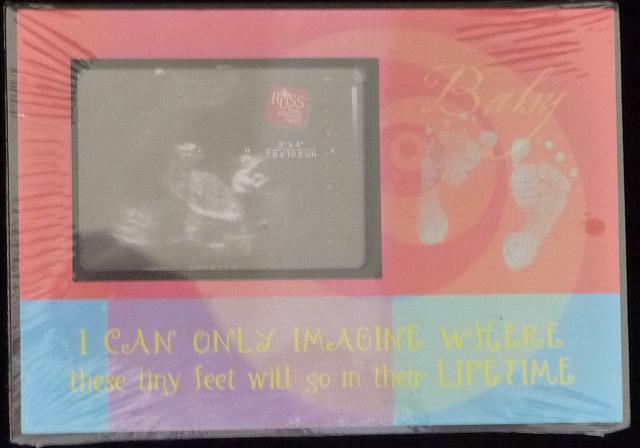 Sonogram Photo Frame is for that very first picture of your very special baby! 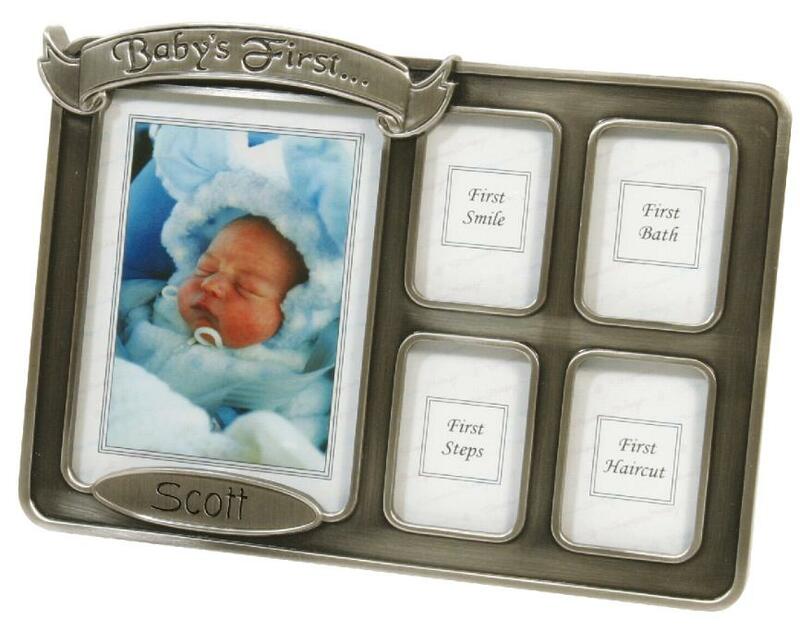 Create a lasting memory with this Babys First Frame. The frame can hold 5 pictures. This frame is made of pewter, and is 7"x5". 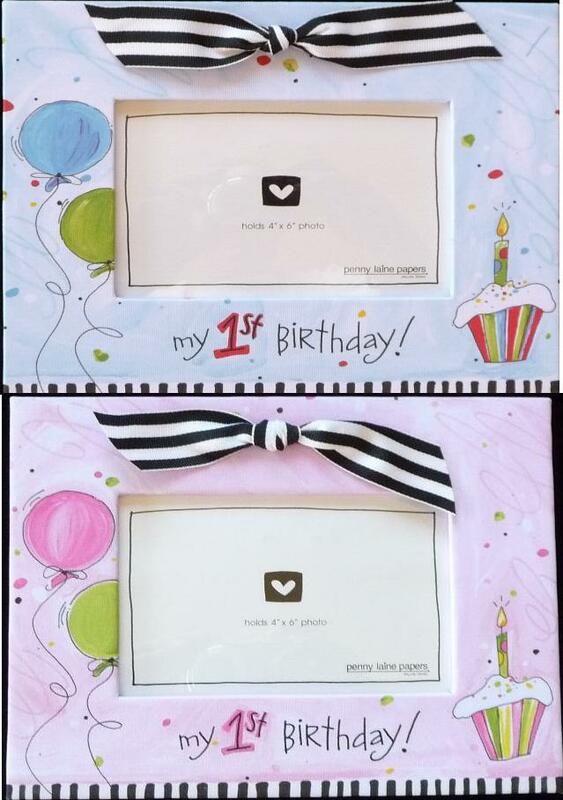 Autograph Birthday Frame comes with a marker. Great keepsake! Overall frame measurements are 8.5" x 10.5" tall. Holds 12- 1" x 1.5" photos and one larger one in the center of frame. 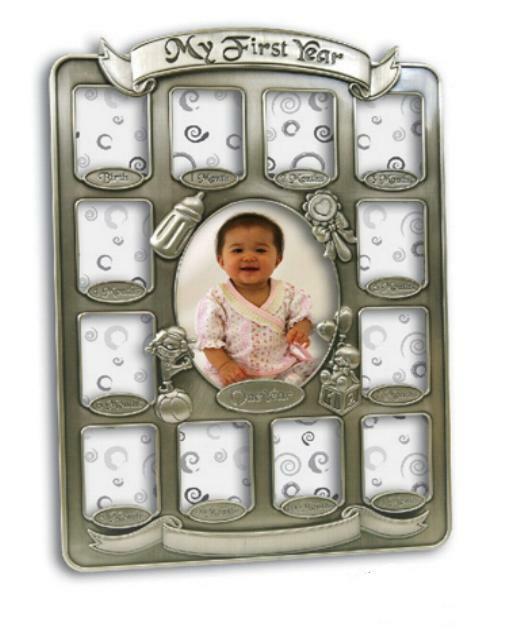 School Years Picture Frame is made of pewter and holds each grade level picture from school. The grade level pictures are 1.25 X 1.5 inches and the center picture is 3.5 X 5 oval. School Years Picture Frame holds pictures from First Grade to graduation. The picture size of the school years 1.5 X 2 for the small pictures and the middle picture for graduation is 3.5 X 5 inches.